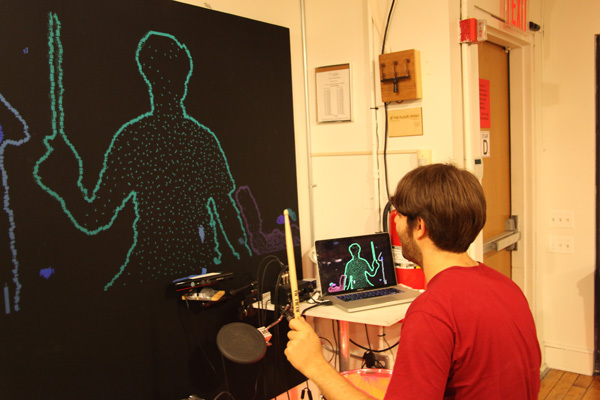 The Mosh Mural is a spatial visualizer for a performance space that responds to the movement of the audience. 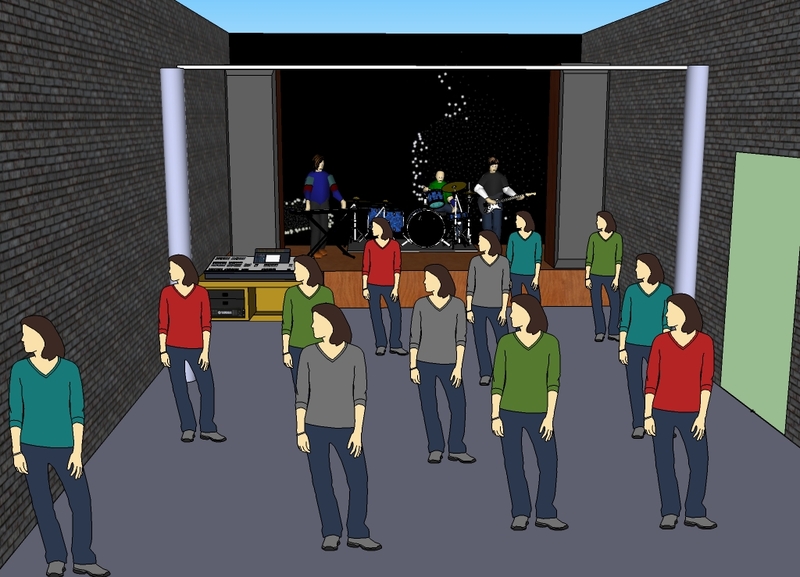 The idea for the Mosh Mural came from observing crowds at performance venues. While watching the musicians, audience members seldom danced or moved very much to the music. We set out to encourage crowd participation in the venue using responsive visuals. Using an XBox Kinect, we were able to determine the positions of individual members of the audience. We were also able to determine the shape of their bodies. 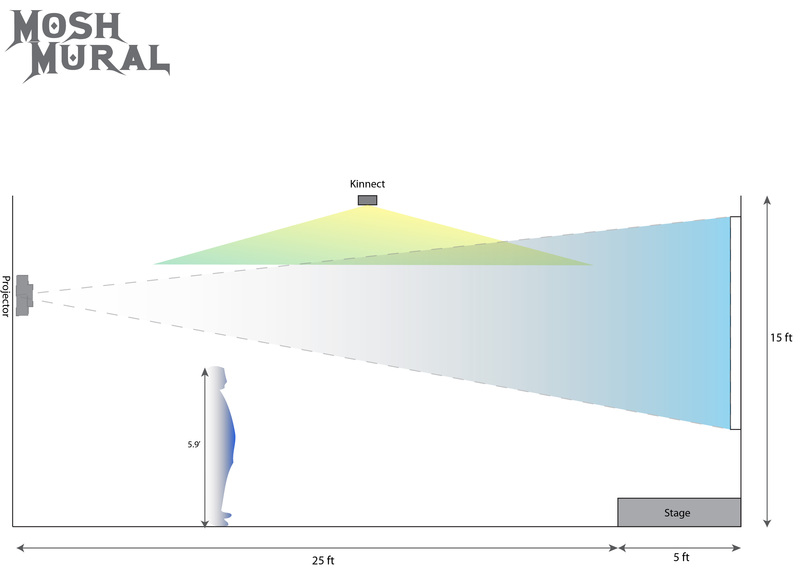 Using this data, we designed a visual show in openFrameworks using the OpenCV library. Inside each shape, we drew a few hundred swimming "boids." We used Craig Reynold's steering behaviors to make them flock together and stay inside the shape. 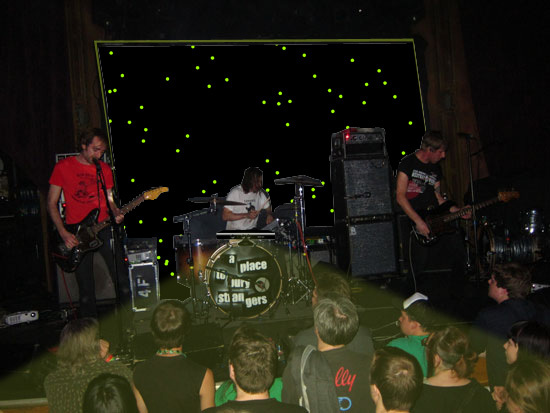 The Mosh Mural has been installed in various music venues, including Public Assembly, Cameo Gallery, Death By Audio, and Secret Project Robot. It was eventually modified to respond to music, as well as movement. The current version of the code has two separate visual modes.